It’s a universal windows platform application for editing any audio clip and access anytime anywhere on your windows devices such as pc, smartphones, tablet, etc. One of the best applications for converting any type of video files into multiple formats like mp3, aac, wav, and m4a. you can use it for multiple purposes such as trim, edit and conversion on the same device. Customize audio quality for low to high for dynamic output. Direct sharing on social media. 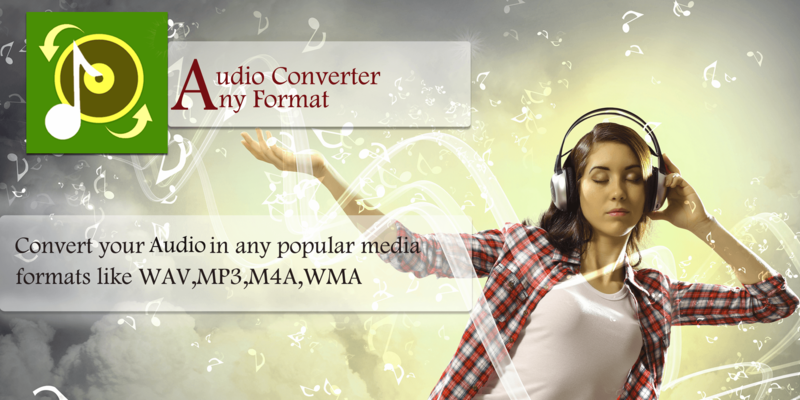 Quick convert feature – convert any audio file with a single click. Trim and save any audio file in the same device. Multiple Formats options for converting audio clip. Co-friendly interface and easy to use functionality makes it familiar for various users. You can easily drag any file and convert into multiple audio formats for sharing via Bluetooth or online. Advance conversion features of the app offers a variety of tools for converting a audio file into custom sizes and formats. Now, you can easily set the bit rate, formats and quality of the audio file with this amazing tool. So, download and enjoy.